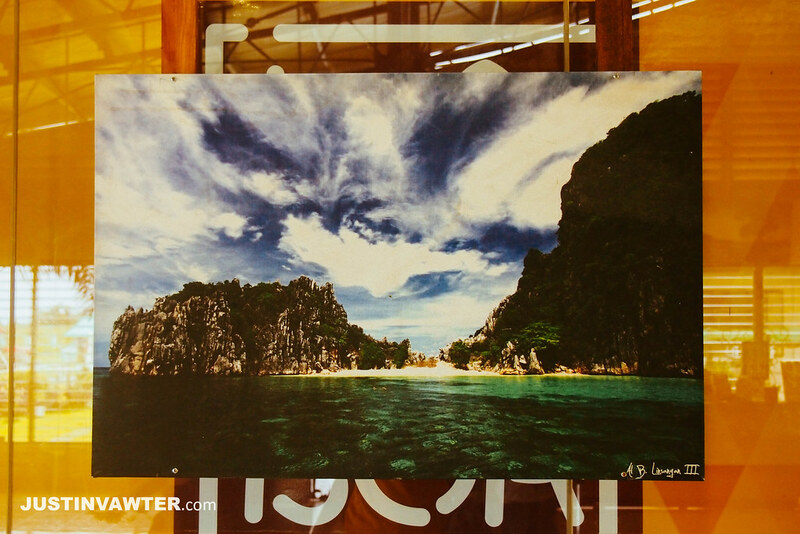 When 2015 ended, I had no idea that I’m up to something so awesome you won’t actually believe it: I was able to book a flight to Coron for just Php 400!! I’m serious, when I paid that, I was like “did that just happen?” But what exactly happened? 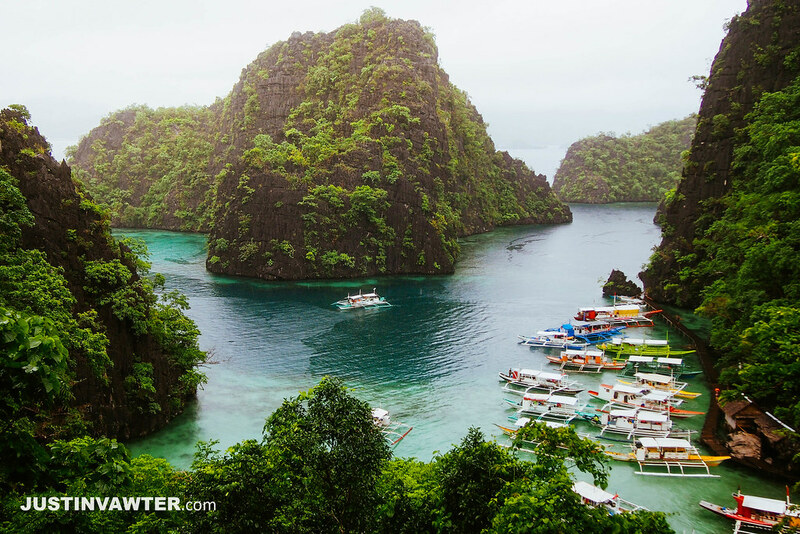 Here’s a rundown of my flight to Coron, Palawan: from booking to collecting memories. 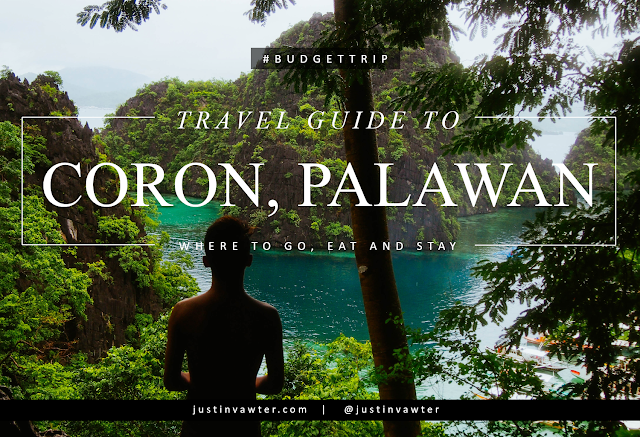 This is #BudgetTrip featuring the #BTCoron series. It was the day before New Year’s Eve when Skyjet Airlines offered their year-end sale. Of course I was so excited and my goal was to book a flight to Batanes. But after spending more than 12 hours, I gave up. It was all booked. I was disappointed, my heart broken. The next, I decided to give it another try yet I still failed. Feeling miserable, I decided to check other flights being offered by Skyjet. I saw Coron and told myself “hey, why not try this one?”. To my surprise, after a couple of minutes searching, I was lucky to find a roundtrip ticket for just Php 400! That was so insaaaane! So I immediately booked it and paid at the SM Cinema (this was a mistake, I was supposed to pay via 7-11 but because I panicked so much–I was worried that others may book the same flight so I need to hurry, you know the drill guys–I accidentally clicked SM). I almost wasn’t able to pay since SM like a 30-minute ride away from my place and it’s already around 6pm that time and I have to wait for my mom to go home. But fate is on my side so yeah, the rest was history. 8 months after booking, the day has come! A few days before my flight, my blogger friends Ruth of www.ruthdelacruz.com and Melo of www.outoftownblog.com asked me if I want to join their trip to Coron. Since the date was almost the same, what was supposed to be a solo trip to Coron became a group trip with my blogger friends! 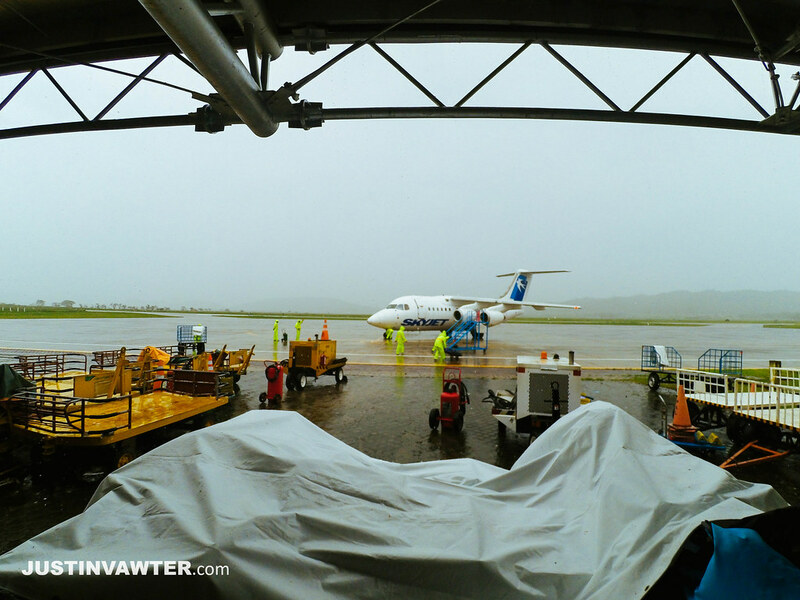 Although the flight was delayed for almost 1-2 hours because of the bad weather in Coron, the flying experience was awesome (though I wasn’t able to get the window seat! come on, why can’t I have a window seat!!). 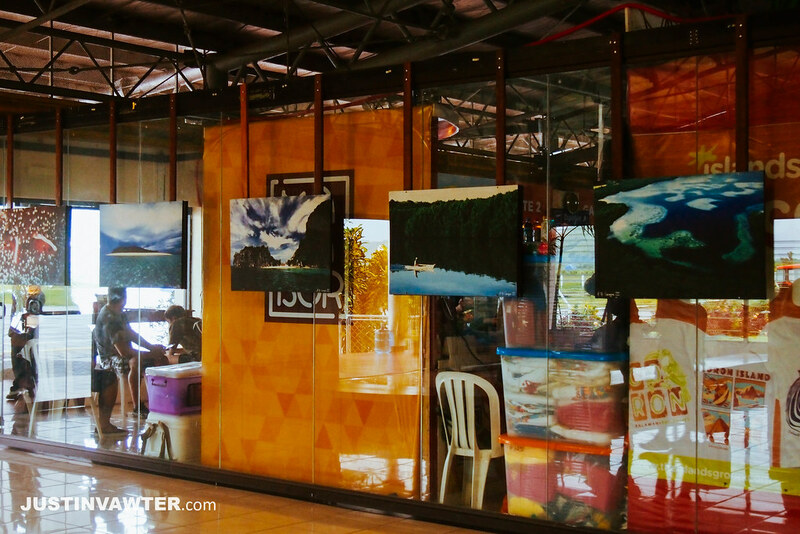 It was my second flight with my trip to Davao-Surigao del Sur-Samal as my first one (Read: (4D3N) Php 4,600 Budget Travel Guide to Davao-Surigao del Sur-Samal) which is via Cebu Pacific. 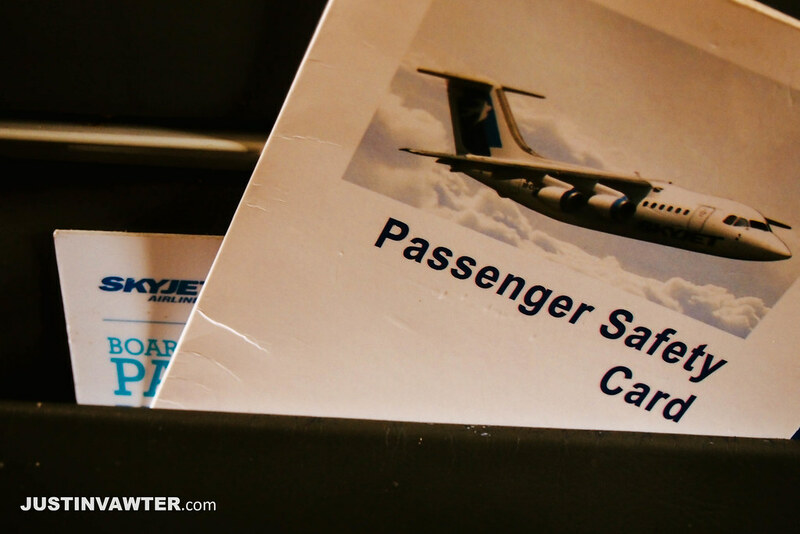 Being a boutique airlines, Skyjet has a smaller and different kind of aircraft compared to Cebu Pacific. The experience is also different. 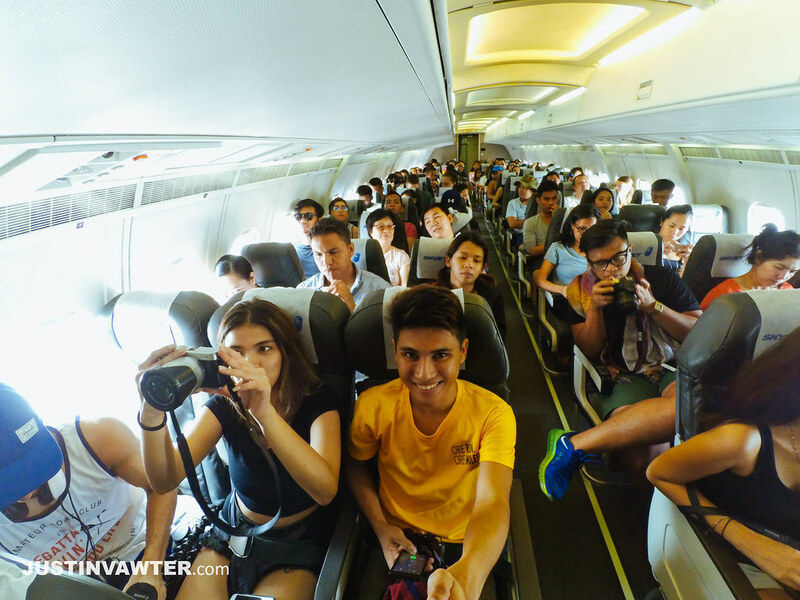 For newbies when it comes to plane, Cebu Pacific (Airbus) is more convenient and modern. 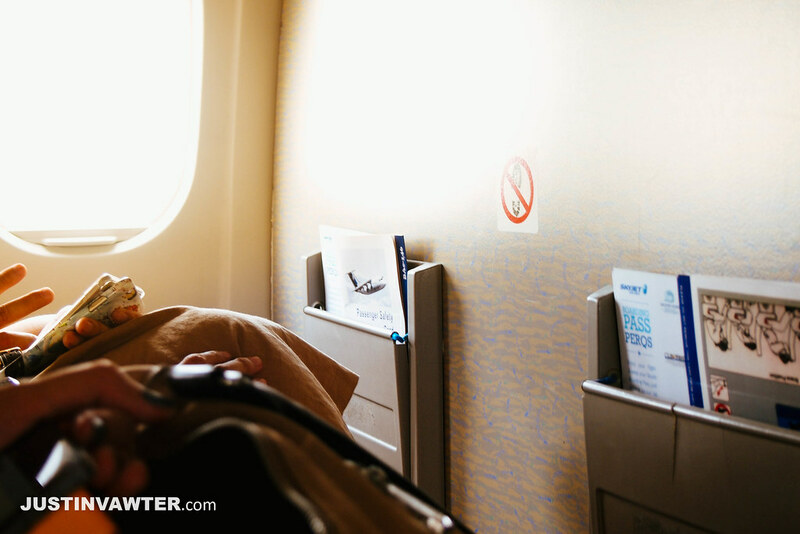 It’s longer and can accommodate more guests and you won’t really feel a thing about flying. Skyjet (British Aerospace) on the other hand is smaller and feels lighter that’s why you’ll really feel the way it glides. It really gives you that adventure kind of feeling especially when it’s about to land. Yes, you’ve read that right. It just took us less than 35 minutes to reach Busuanga Airport. That’s even less than the travel time from Makati to Cubao. I remember I was really tired during the flight that I wanted to sleep and even before I close my eyes, oops, here we are already. That was actually a funny moment. Inside the cockpit! Feeling like a true captain. This is definitely a once-in-a-lifetime experience. 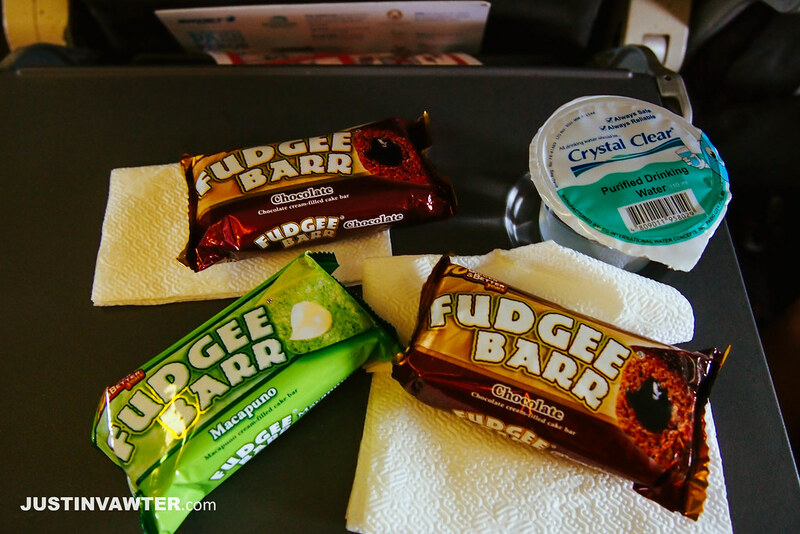 One perk from this trip is that Skyjet offers free snacks and water during the flight. We were even joking that they should also offer free coffee but then again, before you sip you may have already landed. Haha! 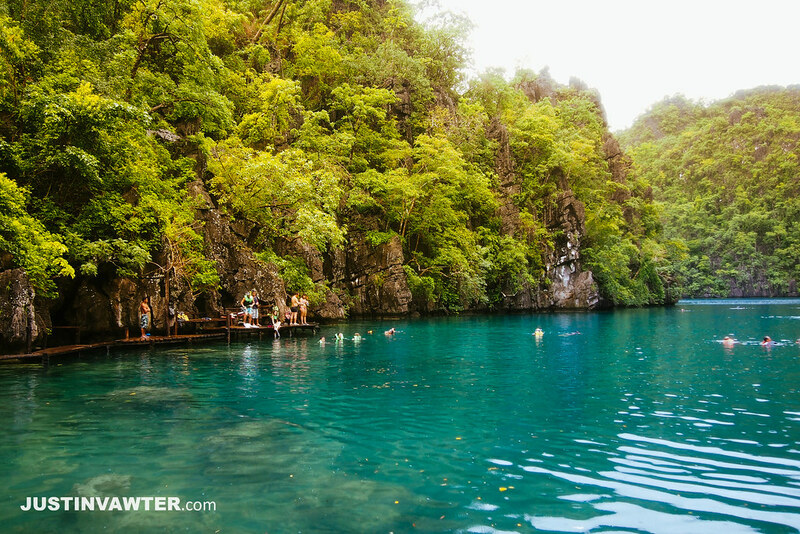 Coron is hailed as the most beautiful island in the world and there’s no doubt about it. However it rained the entire trip which is kinda sad. The sun did shine a couple of times so that’s still good. 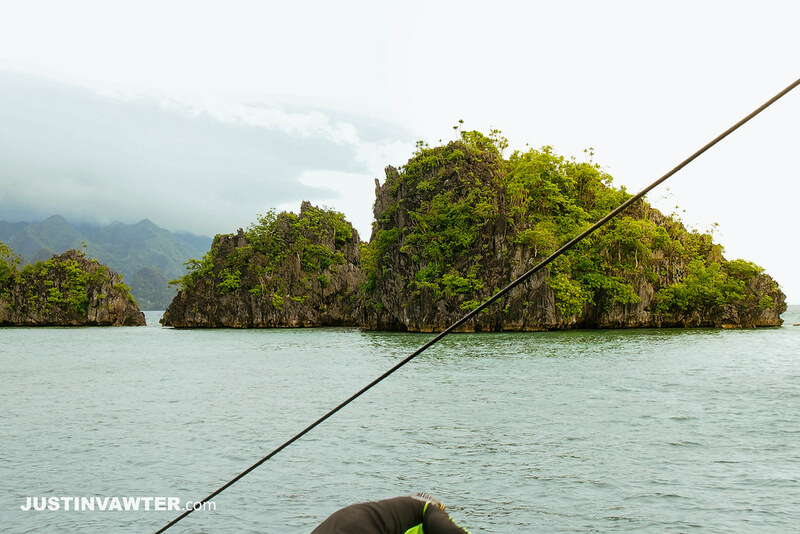 Nevertheless, it’s nice that I got the chance to see Coron during its best and worst time. It was really a lovely place. This just a sneak peek. Full budget travel guide, where to go, eat and stay next on the series! Do check out my teaser video as well. Will be posting the full video very soon. Not all trips are perfect and because it rained the entire trip, I have already anticipated what’s gonna happen next: Suspension. My flight back to Manila got cancelled. I was really worried since I have classes but luckily, fate has always been on my side. Classes in Manila got suspended as well. There was a long delay of flights because of zero-visibility and air traffic back in NAIA. Good thing was that Skyjet took good care of me or else I have no idea what to do next especially that my friends left the day before (I was able to extend for one more day because of the ticket I bought. So I had 2 days extension because of flight cancellation). You are probably wondering how I was able to book that Php 400 RT ticket. Well here are my top hacks when it comes to buying tickets online. 1. Go for seat sale. Trust me, it’s worth it. Be ready to spend not just hours but days. It’s a total war out there I tell you but hey, it will all be worth it. 3. Stay incognito. Most airlines track how you book. The more you search, the more they know. They’re like Big Brother. If you keep on searching for flights, the tendency is they raise the price since they can detect that you are going to book. So stay incognito. 4. Keep your notifications on. Winners start early. You may want to be the first in line so don’t forget to sign up your e-mail and turn your notifications especially on Facebook so you get the first updates. 5. Read the terms. 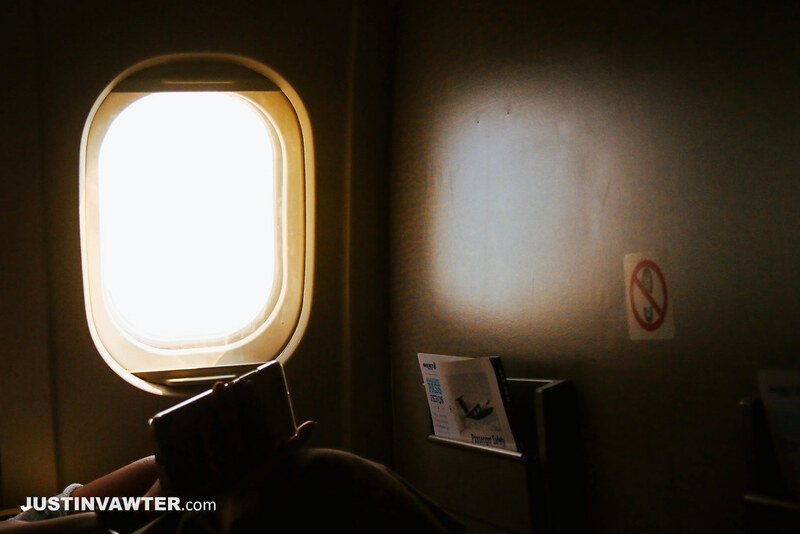 One thing that most travelers forget is to read the terms and conditions. Before booking read them carefully. Airlines usually give a list of available tickets they are going to sale. For example, they may sell 400 tickets to Cebu and 1000 tickets to Davao. Which do you think will give you have a higher chance of booking? Now, you get the idea. 6. Fly during off-peak season. You have a higher chance of finding cheaper rates during off-peak season and that is June-November. Avoid the holidays as much as possible. Summer is rare. 7. Go to travel expo. Last but not the least, go to travel expos. Right now there’s Travel Mart which is happening from Sept 2-4, 2016. Many companies sell tickets and tour packages at a very low rate during expos. That’s it! Hope you enjoy this first part of my #BTCoron series. Stay tuned for the next parts! Climber. Backpacker. Designer. Blogger from MNL. 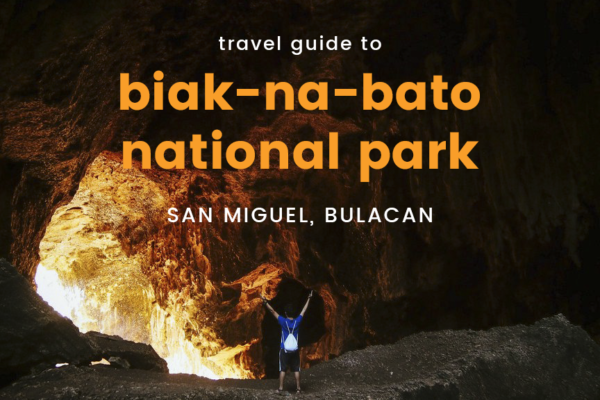 An architecture student by day, writer and designer by night, and hiker on free days, join me on my adventures as I try to explore the world. LIFE IS TOO SHORT TO LIVE WITHOUT ADVENTURE. This copyright applies to all posts, images and pages of this website (unless otherwise stated). Any of these may not be reproduced on another blog/website without the author’s expressed written consent. All applicable laws apply and will be enforced. 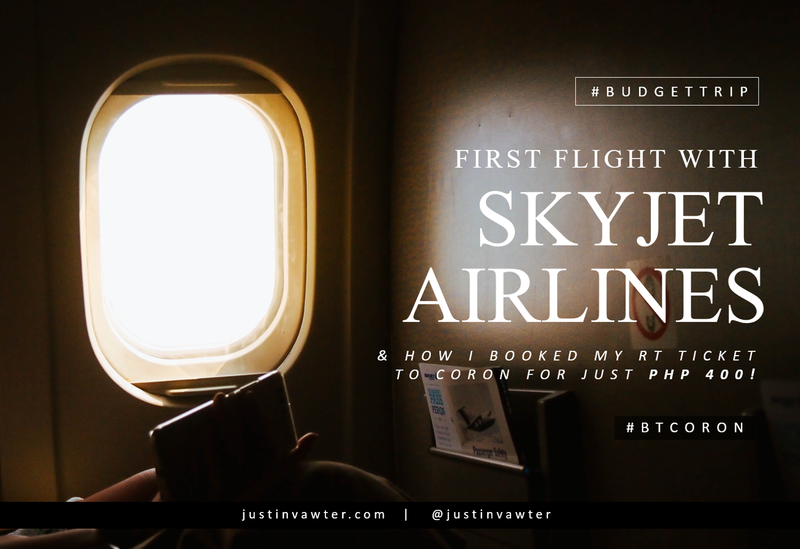 All of my trips are based on my own expenses as well as the opinions written under this blog (unless otherwise stated). For clarifications, feel free to contact me. Designed by Justin Vawter with love. © Copyright 2017 Justin Vawter. All Rights Reserved.